AbbVie Ine. (NYSE:ABBV) has been one of the leading healthcare stocks ever since it got separated from Abbot Inc. But many people believe that Abbott had relieved itself from AbbVie (NYSE:ABBV) in order to get away from the patent expiration for its dug Humira. Currently, the company has 60% of its sales coming in from this drug which is why the expiration of its patent in 2016 is making it a tough time for investors. Recently, the company decided to acquire Pharmacyclics (NASDAQ:PCYC) in an agreement worth $21 billion which was probably because of its cancer-drug, Imbruvica, so that AbbVie (NYSE:ABBV) could figure out what its options are after the patent expiration. However, this may not just be enough to help the stock. One reason is that Humira has been the most profitabole drug of the company giving it hefty sums in revenues for quite some time now. However, after expiration, they are predicted to drop as much as 20-30% in the time frame from 2017-2018. Thus, this would amount to as much as $1.5 – $2 billion of sales being lost to biosimilars trying to copy the drug. However, the drug won’t be off of its patent in many parts of Europe up and until 2018, but there may be a loss in biosimilar entry in the European Union given that the drug will lose its exclusivity. Therefore, its company can witness a decrease in revenues by as much as $3-4 billion in 2019, based on today’s figures. Another thing to take note of is that the buyout of Pharmacyclics (NASDAQ:PCYC) may not give AbbVie (NYSE:ABBV) enough net profit to cover up its acquisition cost before the patent for Imbruvica expires in 2026. 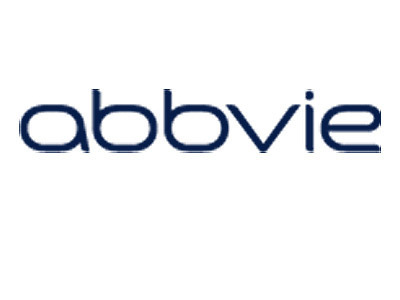 AbbVie (NYSE: ABBV) thinks that the drug has the potential to hit the $7 billion profit margin by 2020, and considering that the company helps the drug improve, this margin can be improved 50%. Therefore, the company will have as much as $3.5 billion extra in funds after marketing and manufacturing expenses are accounted for. Another thing to note here is that Johnson & Johnson’s (NYSE:JNJ) own half of the profits, so AbbVie (NYSE:ABBV) will have a profit of nearly $1.75 billion. AbbVie Inc. (NYSE:ABBV) should also know that the peak sales of Imbruvica are questionable at the moment. Pharmacy befit-managers such as Express Scripts are trying their best to reduce prices of hepatitis C drugs the same way Gilead Sciences Inc. (NASDAQ:GILD) was forced to reduce its. Imbruvica is one breakthrough treatment that can be able to charge premium prices. However, it may have to face a lot of competition in the short term. An off point may be that the experimental drug of AbbVie (NYSE: ABBV), known as ABT-199 may take a hit on the pricing structure of Imbruvica when approved. The model that Imbruvica uses at the moment doesn’t account for the price decreases or early and mid-stage competitor therapies. Instead, its profile can help charge premium prices.